Vegan Exposures in the Latest Sustainable Events in D.C.
From the Food Tank Summit to the Green Festival Expo, springtime in Washington D.C. is seeing the sustainable food revolution heating up. Danielle Nierenberg, founder and president of Food Tank, started off the summit by saying, “I’m frankly tired of hearing about how bad things are … we are here to focus on innovative solutions.” Solutions are being applied to make changes in the real world. 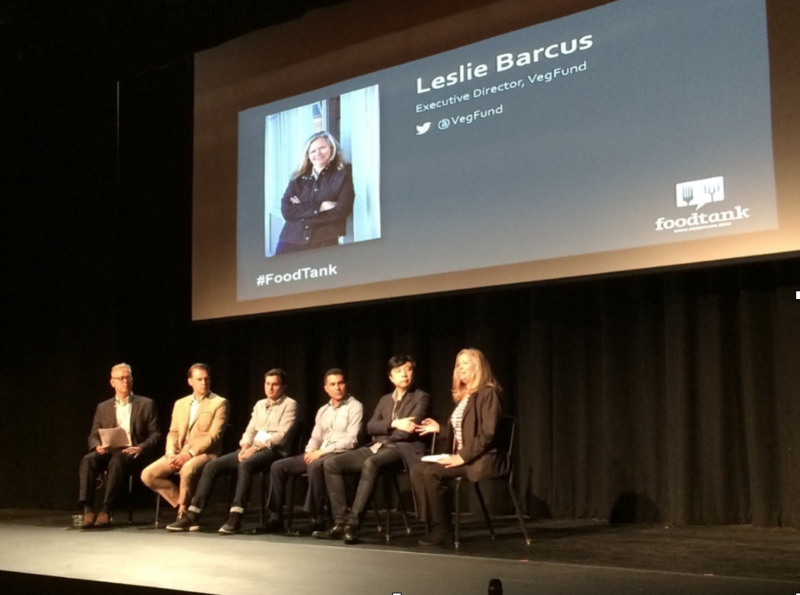 At the 2016 Food Tank Summit, 70 farmers, chefs, scholars, business owners, policy makers, writers, reporters, and activists shared the latest trends and actions in the sustainable food and agriculture movement. Topics include interdisciplinary collaborations, nutrients in foods, protein of the future, food and national security, food waste and recovery, progresses in policy, investment and entrepreneurship, organic food and agriculture, social equity and fair trade, and last but not least, family farmers who lead the change with their hands. The summit set a stage where global-level challenges in the food and agriculture system were presented, and cutting-edge efforts at local and community levels organically blended into the picture. By connecting knowledge, experience, and passion, both face to face and through touch screens, interactions that took place during the two days are able to inspire, motivate, and accelerate actions around the world. Leslie Barcus speaking at the “Protein of the Future” panel. 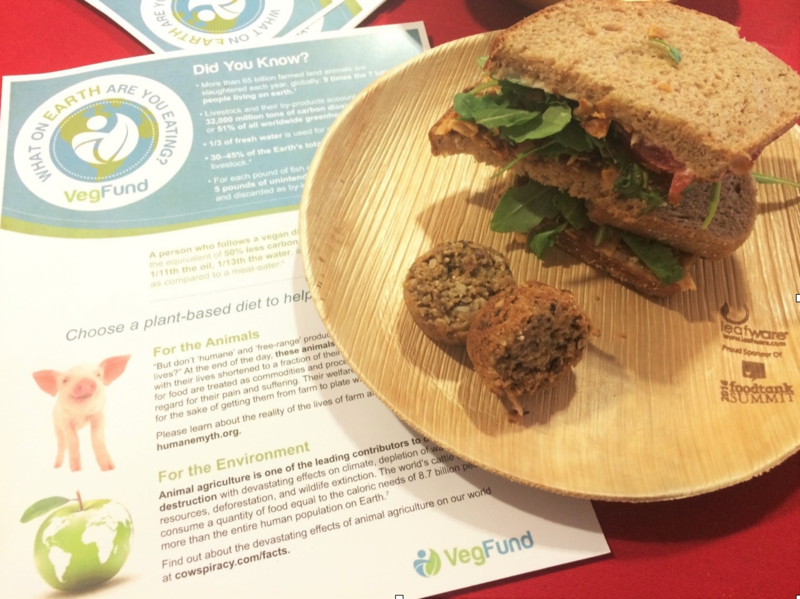 At the panel on sustainable protein sources, alternatives from organic grass-fed beef to cricket powder were discussed, while Leslie Barcus, president of VegFund pointed out that plant-based proteins can meet the nutrient needs of humans. And although some ideal animal farming practices, such as regenerative grazing, value the interconnection and interdependence in the ecosystem and refrain from harming predators, Leslie highlighted the real threat posed by many sustainable animal farming operations to wild predators like coyotes. During the Q&A session of the panel, comments and questions from the audience repeatedly emphasized that animal products are not the only source of protein, and that plant-based proteins contribute more to people’s health while lowering the risk of chronic diseases such as cancer and type-2 diabetes. 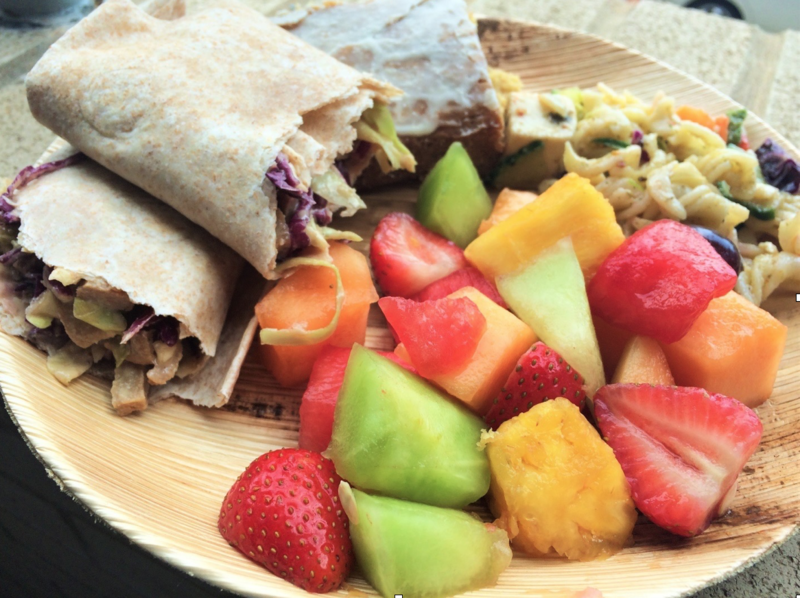 VegFund also sponsored vegan lunch options during the summit, provided by Calabash on the first day and PEP Foods on the second day. 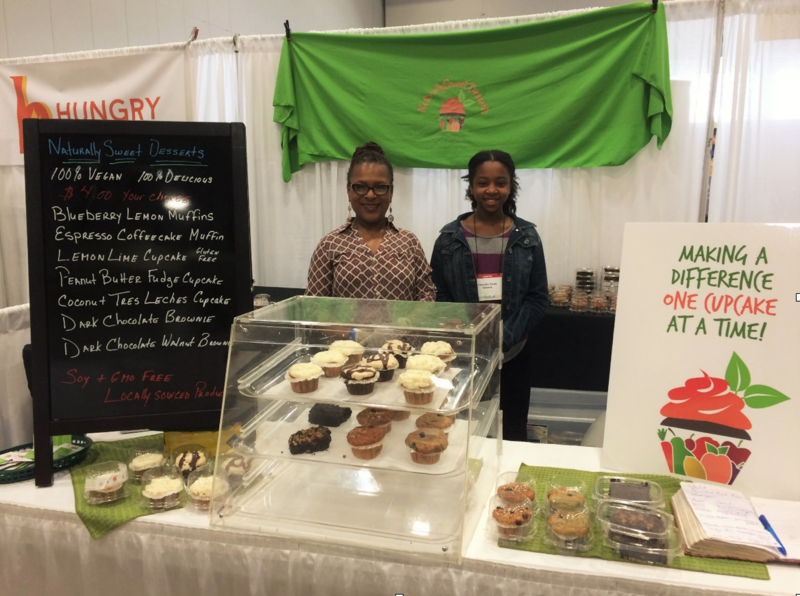 The foundation also contributed to the Green Festival Expo in Washington D.C., which went a step further – all the foods and drinks at the food court were vegetarian, most vegan, provided by Khepra’s Raw Food Juice Bar and Nyota’s Ting International Vegetarian Catering Company. A strong theme of plant-based living could be found among many speakers at the expo, from the experience of fighting obesity and reversing disease, to building “vegan muscles”. The screening of the documentary Cowspiracy occupied the lunchtime slots at the center stage for two days, attracting a good audience. Exhibitors at the expo also shared their stories and visions about plant-based lifestyles. Sherimane, owner of the NaturallySweet Desserts vegan bakery, gradually went off medication by switching to a vegan diet. As a real life example, Sherimane is helping customers enjoy healthy eating and healthy lives.